Commenting on the allegations against Victor Ivan pocketing Rs 5 million of Ravaya funds, D.N.R.Siriwardena, the Registrar of Companies told Colombo Telegraph that the entire transaction is illegal and completely out of the order and that an investigation is to be launched into the transaction. Further to that the company registrar went on to tell Colombo Telegraph that a public litigation lawyer has already made a complaint into this transaction and he is set to launch an investigation. “I advised him to launch a complaint at the fraud bureau as well” the Company Registrar further said. This is a formal complaint made against the Ravaya publishers, a company registered with the Guarantee status under section 34 of the Companies Act. In May 2013 Ravaya newspaper employed a group of persons, who made an public appeal, which was circulated to a selected group by emails, (including me), appealing for financial support, purportedly to make Ravaya newspaper an independent print media (a copy of the press release is attached hereto). Most people had no reason to suspect the bona fide of this appeal and over 200 people contributed over 10 million rupees (I too contributed Rs 100,000/-) and contributions were deposited to the Bank Account belongs to Ravaya Publishers Guarantee Ltd Account No 8180047738 – also published in the advert) maintained at Commercial Bank, Maharagama Branch. Now I understand that out of the funds so collected, a sum of Rs 5,000,000.00 has been misappropriated by Mr Victor Ivan, completely deceiving the people who did respond to the public appeal, which is also an criminal offence punishable under section 8 of the Companies Act No 07 of 2007.
a) to enforce the provisions of Section 34 (6) of the Companies Act for the removal of the legal status of ‘Guarantee Limited’ granted to this company for the willful abuse of the powers for an improper purpose of unjust enrichment. b) to enforce the power vested in you under Section 8 (5) of the Companies Act No 07 of 2007 against the persons concerned for the criminal offence committed. I, Nagananda Kodituwakku, of 99, Subadrarama Road Nugegoda, a Lawyer by profession and the former Head of the Customs Revenue Task Force Directorate, (email: xxxxxxxxx@gmail.com and mobile phone 077xxxxxxx) state as follows. In May 2013 cash trapped management of the weekly print media ‘Ravaya’ newspaper (Ravaya Publishers Guarantee Ltd), appealed to the general public, requesting financial contribution to keep the newspaper floating and a group of people were employed to meet the prospective contributors to raise funds. Those who were so approached had been made to believe that the appeal was genuine and bona fide. As a result over a sum of rupees 10,600,000.00 had been collected from 220 contributors who had purely placed their trust and confidence on the said appeal. 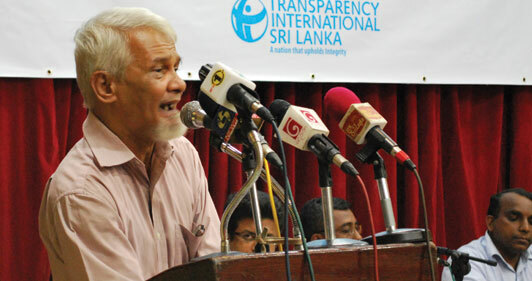 On this matter, I was approached by one Gamini Viyangoda, representing the fund raising campaign organized by Ravaya Publishers Guarantee Ltd on several occasions, and I was explained the need to establish an independent print media that would not compromise its integrity to any political party or organization but would committed for the realization of democratic rights of the people. I checked the legal status of the Ravaya Publishers and found that it was a company registered with the guarantee status, that prohibits appropriation of funds, profits or income of the company in any manner by it’s members by law (Sec 34 of the Companies Act No 07 of 2007), except using such funds only for the promotion of its objects. Therefore, having satisfied with the representations made to me by Gamini Viyandgoda, I contributed one hundred thousand rupees (Rs 100,000.00) to the said Ravaya Publishers Guarantee Ltd currant Account (A/c No 8180047738) maintained at Commercial Bank Maharagama. Thereafter 0n 30th Oct 2013, I was invited to attend a informal meeting organized by Ravaya on 04th Nov 2013 at Sovereign Hotel in Rajagiriya. However, then I was away in London and I informed the organizers about my inability to attend the said event but requested for a acknowledgement for my contribution. Yet, up until today Ravaya Publishers failed to issue any receipt, in spite of several requests were made to said Gamini Viyangoda and Victor Ivan. However, now, I understand that out of the funds so collected, a sum of rupees five million has been abused by Victor Ivan, clearly an immoral act which tantamount to criminal misappropriation of public funds collected deceiving the general public, who had made their contributions in good faith. Therefore, I request the police to investigate into this fraud forthwith and to bring those responsible for this abuse of public funds to justice with the recovery of five million rupees so misappropriated by Victor Ivan. The contact address of Ravaya Publishers Guarantee Ltd is 83, Piliyandala Road, Maharagama (phone 2851672/3, 2842064). Contact details of Gamini Viyangoda is 0777xxxxxx and his email address is xxxxxx@hotmail.fr Victor Ivan’s email address is xxxxxxxxxx@gmail.com and his mobile phone number is 0777xxxxxx. Send him where he belongs and that’s the Jail… A MR supporter who played along with MR agenda.. acted as a saint without any corruption….just like Malinda..Serves him right..
Clear “White-Collar Crime”. Shame on you Ivan. Pot has been calling the kettle black. time for Ivan to return the stolen funds and spend some time in jail contemplating about the merits of honesty. Sri Lanka has an abundance of crooks and hypocrites who claim that the are interested in the welfare of the people whilst concurrently robbing you blind. Surprised that Ivan was not a politician of the previous regime. He would have fitted in well with this bunch of crooks and scoundrels. I read your scratching remark published today in your newspaper and I thought that I should take this opportunity to express my sincere appreciation for giving me an opportunity to respond to it appropriately. I believe what Mr Ivan has done is completely wrong and I feel sorry of him, but the wrong he had committed is very serious (misappropriation of public funds taking the public for ride) is not forgivable and he should face the legal consequences as provided by the Company law. In fact he send me a long email, effectively seeking mercy and mitigation. But I am not Sirisena (not to take action against cheats who had defrauded billions of public funds) but Kodituwakku and I strongly believe that he should be dealt with as required by law. Once Singapurian Prime Minister Lea Kwan yew told one of his Minister who had committed a fraud either to commit suicide or face death penalty, the minister chose the first choice. And before doing whatever Mr Ivan should make a public apology. I invite you to accept all your comments published in vengeance, as I do not take any of them at all. I am sorry to say that I cannot plunge into any such low a level that is completely inappropriate for me. And wish to inform you in the first place that I do not harbor any ill will, hatred or enmity towards you for making all these falsehood. You know very well that I won’t tolerate wrongdoings of any sort and that apply to everybody alike and you are not exception. As you know, I made a contribution to your media institution purely on trust because I had a regard for you. 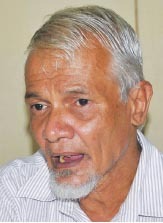 I believed your word, which was also communicated through Mr Gamini Viyangoda. In the appeal made to the general public you never inform people the real motive behind seeking financial contributions from public except informing them that your newspaper require funds to make it a uncompromising media institution with stable finances (the copy of the appeal made to the people is attached for your own perusal). In this regard several representations were made to me by you, and Mr Gamini Viyangoda visited my home number of occasion to persuade me to make a financial contribution. I checked your advert and also the legal status of the Ravaya Pubishers Gurantee Ltd, and I was satisfied that no individual or body could abuse the funds contributed in any manner, by way of profit, income or any other manner. In fact your advert published Ravaya Publishers Guarantee Ltd bank account details, which I checked with the Commercial bank before making my contribution of Rs 100,000.00, which was done purely on good faith. By the said appeal, we were simply informed that the cash trapped newspaper needs financial contribution from public. Later on, I was informed by another email (copy enclosed) that over 220 people have responded positively to the pubic appeal and contributed ten million six hundred rupees. And I was invited to a informal meeting with the management, which I could not attend as I was with my family in London (copy of emails and my reply is attached hereto). Yet, despite several reminders sent you or any other person in the company had the courtesy at least to sent an acknowledgment confirming the receipt of the funds, until I received a email from Mr Viyangoda just a week ago (after two years) requesting me to talk to your accountant to get a acknowledgement for my contribution. In the meanwhile, I learned that you have appropriated 5 million cash from the public contributions made further to the said appeal. I believe you would understand that no person with a common sense would tolerate this kind of inappropriate actions of deceiving the public. In this backdrop I talked to you many times but no notice of acknowledgment of funds contributed was sent. In this backdrop I was compelled to make a formal complaint to the police to inquire into this abuse of public funds (copy enclosed). I am aware that Ravaya has not issued receipts for other contributors as well and therefore I made further representations to the Registrar of Companies seeking the Registrar to initiate a formal investigation to recoup the funds contributed by the public which you have unlawfully appropriated, completely deceiving the people (written complaint made to the Registrar is enclosed). Please note that other accusation you made will be dealt with appropriately in due course. I once against take this opportunity to inform you that I perceive your action as completely, inappropriate and uncalled for showing no gratitude for the contribution, which was thereafter abused for unjust enrichment, not permitted by law. It looks as if Victor Ivan is reaping his just Desserts at three score and ten! I don’t think it is fair to undermine the services rendered by Ivan to restore Rule of Law in this country. He may have abused funds contributed by the public collected to maintain the newspaper. Probably he did not want to declare that he was destitute and needs financial support to sustain his family. I think he knows the gravity of the serious wrongdoing. After all he is a human, and I believe people should have sympathy towards Ivan and leave him alone. what a disgusting site this turn out to be. You should be ashamed of yourselves.